Summary: More community banks are recognizing their small business customers' good works, which can provide them with reciprocal rewards. What some of your peers are doing. 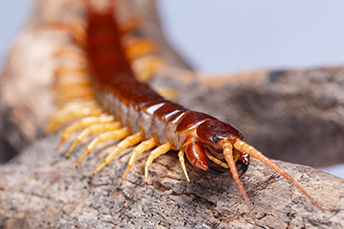 You don't want to come across the giant centipedes that can be found in eastern Asia. They are about 7 inches in length and have reportedly been found to stun and kill prey up to 15xs larger with deadly venom that takes effect in as little as 30 seconds. These deadly invertebrates have been known to kill people, as poison shuts down channels that affect the brain, heart and other organs. As you travel internationally this summer, be aware - they live in the forest, on farms and in cities all over eastern Asia. Scientists are working on anti-venom and we hope their good work finds a solution soon. In banking, community bankers are always doing good work in their communities. This is particularly true when it comes to recognizing their small business customers' efforts, which can provide each one with reciprocal rewards. For example, each year a $2.7B bank in MA holds its Celebration of Excellence awards, recognizing people and organizations "who care about giving back to the community." The bank generates great interest from many in its markets, by seeking nominations across categories such as business, education, entrepreneurship, community service and corporate philanthropy. The awards ceremony attracts several thousand attendees each year, and glowing reports in the local media can be found about the evening, the awards recipients and the inspirational keynote speakers who overcame insurmountable odds. These stories include glowing reports about how smart it is for a local bank to hold such an event. Another example comes from a $4.8B bank in CT. Each spring, it celebrates local entrepreneurs and business owners during National Small Business Week. During the week, this community bank places placards of local successful small business customers in its 55 branch lobbies across the state. This also gives the bank an opportunity to tout its many product and service offerings designed specifically for small businesses. Yet another example is a $700mm bank in NY. It serves low- to moderate-income neighborhoods and held its first annual business networking awards celebration for the Harlem community. This event recognized two small business customers for their contributions "to the economic vitality of the local community." The leaders were specifically honored for being minority and women entrepreneurs, "who are bringing a renewed level of energy and job creation to inner city neighborhoods." One last example comes from an $11B MA bank. It honors business, nonprofit and civic leaders "who have given their time and talent to address a vital need in their community." Each year, the award aligns with the bank's targeted grant program, which for 2017 had a focus on supporting immigrants in its communities. The bank's latest Community Advocacy Award was given to the CEO of a neighborhood health center, for the leader's dedication in delivering healthcare and wellness services to the local immigrant residents. By publicly honoring successful small businesses and nonprofit customers and their leaders, community banks can focus a spotlight on successful customers that have chosen to bank with you. This not only supports your well deserving customers in a unique way, but also provides lots of lift for the bank. Additionally, it can be a great marketing tool to attract new customers. Of course, you are in your community so you get it, but we thought you might like to hear other examples too. This approach is a win for all involved and is certainly much preferable to an encounter with a giant centipede no matter where you live. It has been estimated that Americans spend 6B hours on their tax returns. Streamlining the tax process to cut that number could add many of those hours of productivity back into the economy. Bitglass research finds 25% of IT professionals surveyed say their company still does not use multifactor authentication for employee devices used for work purposes. PwC's Digital Banking Survey finds that for many consumers the frequency of branch visits has declined from a few times per month to a few times per year. A Nasdaq survey of compliance officers finds 47% agree and 38% strongly agree that compliance has a seat at the table when their company is considering its strategic direction. This is an improvement over 2016 when the same survey showed 36% and 39%, respectively. A UBS report finds $2.4T is projected to transfer from aging billionaires to their children and charity organizations in the next few decades. This has been called the "largest wealth transfer in history." Clarabridge research finds 22% of customers say banks are all the same.